We are now the official ADS reps for the Great Lakes Region and the South Central Area. Call 269-408-6087 for more details! Mineroff Electronics has provided information gathering equipment since 1970 and offers a wide variety of custom audio and video solutions. This new LawMate wireless Bluetooth Speaker with built in IP based DVR is engineered to travel – small size but great sound. The Wi-Fi IP feature allows you to live stream audio and video anywhere in the world. A new standard in walk around covert video is here - NOW WITH DIRECT WI-FI and 1080p resolution! This item is a game-changer - you can drink your coffee while recording video. A brand new level of personal safety 10 different color combinations are available! Our new Headphone DVR is a Full HD 1080P Mini DVR equipped with a discreet camera that will record both video and audio. This board-level, battery operated Wi-Fi camera is the mobile video system we have been waiting for! Now, walk-around video monitoring is here and all you need is a Wi-Fi portable hotspot and others can monitor live video and audio right on smart phone. Our latest innovation in walk around covert video is here! This new DVR will fit in any environment. 3D print technology has allowed us to imbed a 1080p high-resolution DVR and camera into the Monster can disguise. Take a concealed audio and video recorder wherever you go! Our new bottle features a 3-D printed component housing to discretely conceal all of the DVR components. This is the latest generation Law Mate Key Fob DVR, with an amazing True High Definition and Wide Dynamic Range (WDR) camera! Our new Power Bank Wi-Fi IP DVR looks and functions just like a normal battery pack you would use to charge your electronic devices. You can monitor the video stream from anywhere in world. The Rattler Micro DVR has a unique, ultra small and covert design, that can be used in many recording situations. Ideal for bust and raid situations. Great for evidence collection, interviews with suspects and arrest footage. 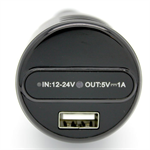 Our new Car Charger DVR is a Full HD 1080P Mini DVR that operates automatically and functions as a charger at the same time. Now with IR! This popular covert DVR now includes Wi-Fi P2P Video! The Windshield Mount Phone Holder DVR is a full HD 1080P DVR for Smartphones (up to 8 cm width) that offers IR night vision recording.